Kerry Dane Amonson, age 55, passed away peacefully January 25, 2019, surrounded by his family after a courageous battle with cancer at the Paula Baber Hospice House in Fort Dodge, Iowa. He was born on March 10, 1963, at Fort Dodge, Iowa. 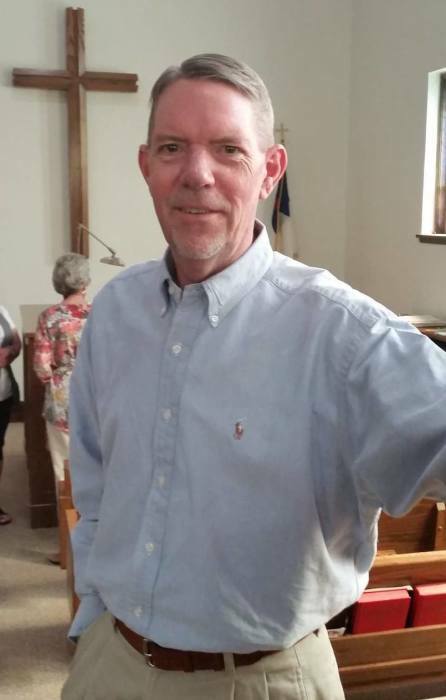 Funeral services will be held on Saturday, March 9, 2019, at 11:00 a.m. at the Eagle Grove United Methodist Church with Rev. Jim Roth officiating. Visitation will be held before the service starting at 9:00 a.m. at the church. Kerry graduated from Eagle Grove High School in 1981. While in high school Kerry auditioned for and was selected to perform with the Iowa High School Music Association All-State Choir four times and was a member of the National Honor Society. He continued his education at Iowa Central Community College. He was a bus driver for the Eagle Grove Community School District for a couple years. He was a member of the Eagle Grove Chorale and the United Methodist Church Choir. He had a reputation for being “fashionably” late for practices and would often make a comment about songs being too high or too low, too long or too short! Kerry was a lifetime member, baptized and confirmed, of the Eagle Grove United Methodist Church. Numerous times he sang with the Music Man Quartet in the Comedia Musica Players in Fort Dodge. For a few years he sang with the Harmony Brigade Barbershop Chorus out of Fort Dodge and the Fort Dodge Choral Society. Kerry was always happy to lend a helping hand. He delivered carry-out meals for the Annual Turkey Dinner, helped with cross-country meets, delivered Meals on Wheels, and sang at many funerals and weddings. Kerry was also a member of the Jaycees, Rotary Club, Masonic Lodge (a past Master of Bower Lodge), Boone River Ducks Unlimited (president for several years), Wright County Crime Stoppers, Chamber of Commerce and Eagle Grove Ambassadors. Kerry was in the automobile business all his life at Lyle’s Ford with his father, Lyle, and brother, Kyle. Somehow, miraculously, he could always find what he was looking for in his office! Kerry was a good neighbor and friend to everyone he met. Kerry is survived by his parents Lyle and Gwen Yarger Amonson, one sister, Athlyn (Jeff) Black, brother and business partner, Kyle (Diane) Amonson, brothers Kelly (Melody) Amonson, Kirby Amonson, many nieces and nephews and great-nieces and great-nephews. He was preceded in death by his sister-in-law, Maria Amonson and both sets of grandparents.